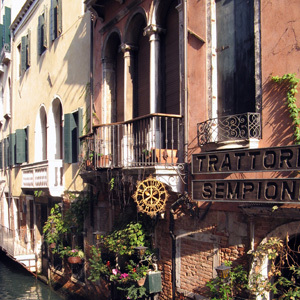 Your vacation begins in Venice, where your Local Host will greet you at your hotel with a warm welcome and materials to help you get to know the city. The next day, after enjoying included breakfast, your Monograms sightseeing includes insider stories at the must-see attractions: St. Mark’s Square and Basilica, Doges’ Palace, and the Bridge of Sighs. In fact, your exclusive sightseeing in each city features the sights you cannot go home without seeing-Michelangelo’s David and a walk through the Piazza della Signoria in Florence; the Vatican Museums, Sistine Chapel, St. Peter’s Square and Basilica, the Colosseum, and the Roman Forum in Rome; and Sorrento’s Cloister of St. Francis Church, with its mix of architectural styles. Enjoy an included glassblowers’ presentation in Venice and a limoncello in Sorrento. But that’s not all…Monograms wants you to have as much time to enjoy these cities as possible, so on your inside visits, we’ve arranged VIP access for you. This means you get to skip the lines! Rather than wasting time in the lines, you’ll spend your time gazing at Michelangelo’s masterpieces in Rome and Florence, imagining what it was like to partake in the gladiatorial fights at the Colosseum, and hearing the stories behind Venice’s St. Mark’s Basilica. We’ve also included first-class travel by high-speed train between the cities, as well as transfers to/from the train stations to/from your centrally located hotels. Plus, we get you to the right train, so you don’t have to try to navigate the train stations-always intimidating when you don’t speak the language! Guided sightseeing; inside visits and special features are shown in UPPERCASE. ALSO INCLUDED: personal headset for included city sightseeing in Venice, Florence, and Rome; entrances to the Marciana Library, and the Correr and Archaeological Museums in Venice.